Wash and top the strawberries. Put it all in the IP in order listed. Hit manual, 30 min on high pressure. Let it natural release (took 90 min). 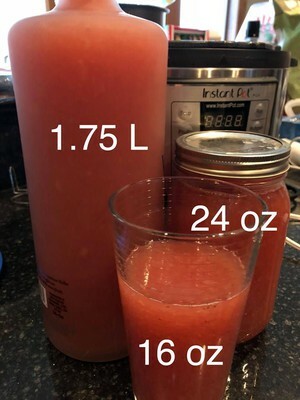 Use an immersion blender & blend all the strawberries. Refrigerate before serving ... best served over ice (or blended with ice for a dacquiri-like drink). This was made in a 6 quart Lux.